If you found this article, then you have probably got some sugar cravings going on and they can be so frustrating! You are sitting there minding your own business and all the sudden this intense craving for sugar comes over you. Do you ever have that happen to you? 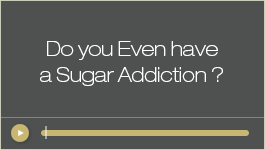 Or are your sugar cravings constant, like you seem like you always want sugar? Or are your sugar cravings more just around your monthly cycle? For me, I was a sugar addict for 30 years, so I craved sugar a lot and over indulged regularly to the point that it started to affect my life in many negative ways. 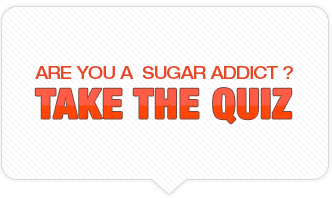 1) The main cause of sugar cravings is that you have already been eating it. Your body says, “M-m-m”. When you eat sugar, you crave it more, especially if you are what can be known as ‘sugar sensitive’ wherever you eat sugar. Different things happen in your body than someone who is not; hence, you have stronger cravings. For me, no matter how much sugar I ate, it was never enough. I always wanted more, more and more. When I stop eating sugar, I do NOT crave it. 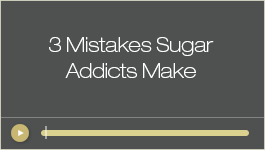 The simple fact that you just might have a sugar addiction can really make you crave sugar. This is not only a physical addiction, but also a mental and/or emotional addiction as well. 2) Imbalanced blood sugar levels from not eating a very healthy diet can cause sugar cravings. If you eat a lot of refined carbohydrates like foods with white, processed flour and white crackers, white bread, pasta, etc. 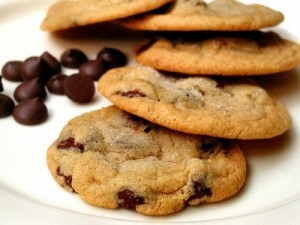 – then that can cause an imbalance in your blood sugar levels which can also make you crave sugar and lead to diabetes. 3) Sugar cravings can happen if your body is too acidic. Now this is a whole other topic, but excess sugar causes and thrives in acidity. If your body is highly acidic, you can be more prone to crave sugar. The best thing to do is get some pH strips online or in a pharmacy and test yourself. This is different than Ketone strips. Look for what is called, ‘pH strips’. 4) You could have something called, Candida, a yeast infection and. yes, even men can have this. You can get a test for this, but one quick simple one is to do the Spit Test. When I did this, I definitely had what this spit test told me to look for, so I did a Candida cleanse that I was able to get at a health food store. It went away, but honestly, my sugar cravings didn’t because I was still addicted to it. I have learned that it was a great test that stayed on my mind for years. 1) The number one way? STOP EATING IT! I know, I know … how do you do that?! … Especially if you are addicted to it! But that is the number one way to get rid of cravings. Check out these secrets to break this addiction in only 14 days, check this out. 2) Learning how to think differently about sugar, how your body processes it, how to cope with stress and how to soothe yourself in other ways instead of running to your ‘Ole’ Pal Sugar’. 3) Fix your acidity – if you are acidic. 4) Do the Spit Test and do a Candida cleanse if you need to. 5) Remember the #1 way is to stop eating it! I find that is the best place to start before you start doing all of these other things. If you would like to check out a free internet seminar I have on overcoming a Sugar Addiction, click this link. Its amazing how much more energy and focus you have in your life when you aren’t pulled around by your sugar cravings.